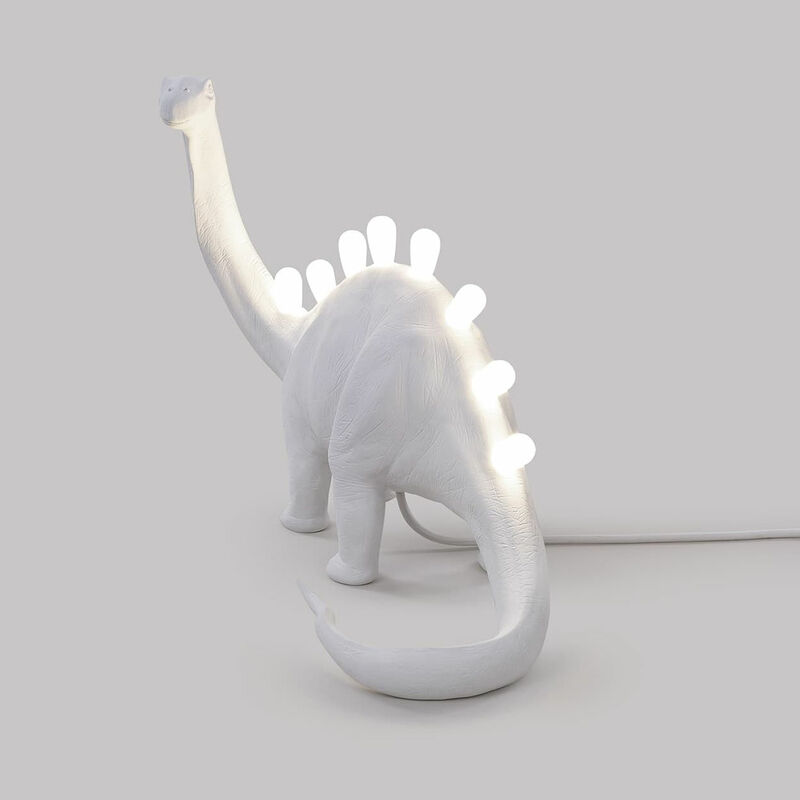 A return to the prehistoric era with these wonderful Jurassic lights... 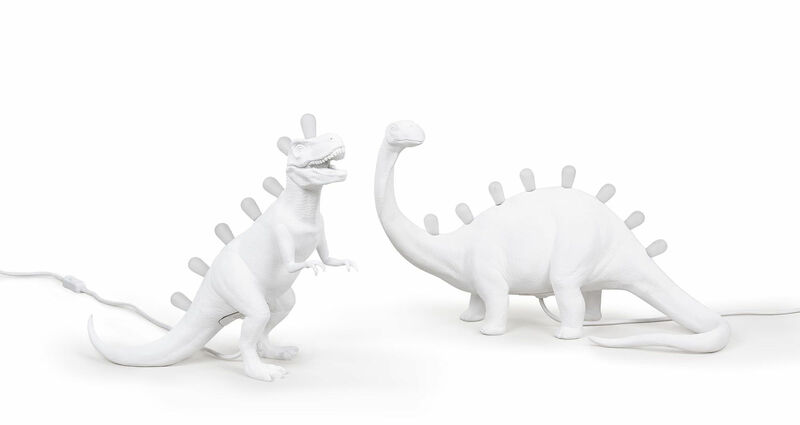 These troublingly realistic dinosaurs are taking over our interiors as if to remind us of the continued link which exists between man and nature. 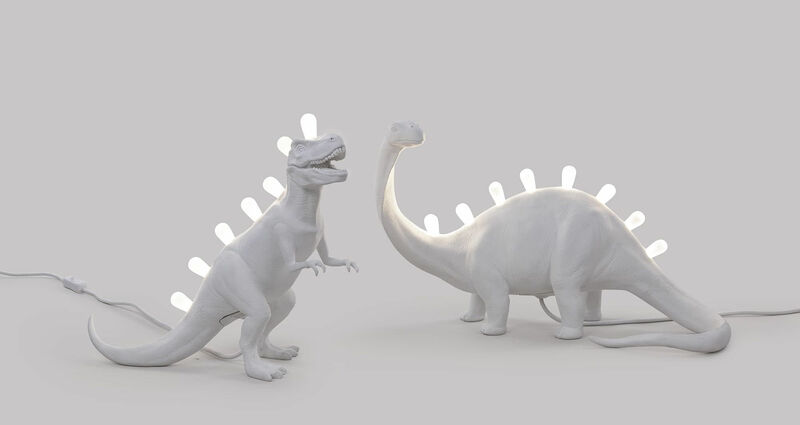 Very fun and quirky, these resin lamps perfectly imitate two famous dinosaurs who existed a long time ago: Brontosaurus and Tyrannosaurus. 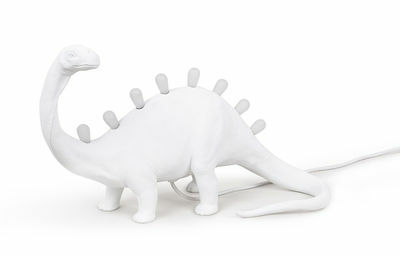 On their backs they are carrying LED bulbs (included) to brighten our nights! 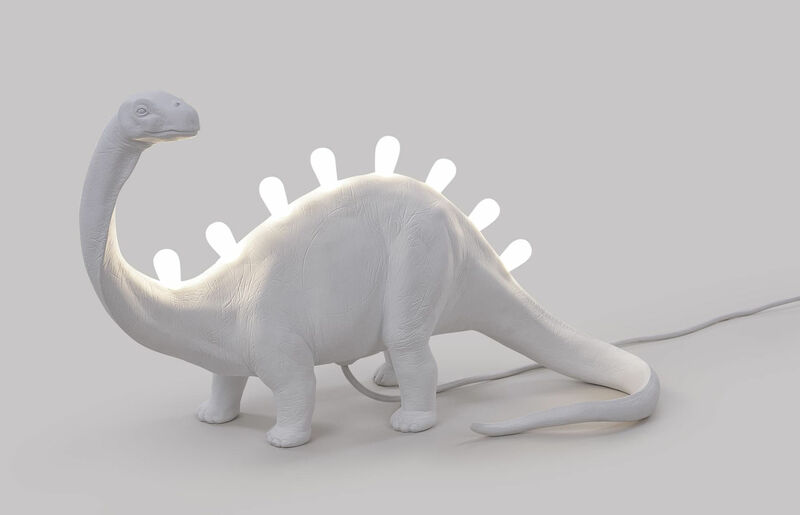 By creating this collection, the designer Marcantonio Raimondi Malerba is exploring themes like the relationship between man and nature, art and design, philosophy and they way things are... 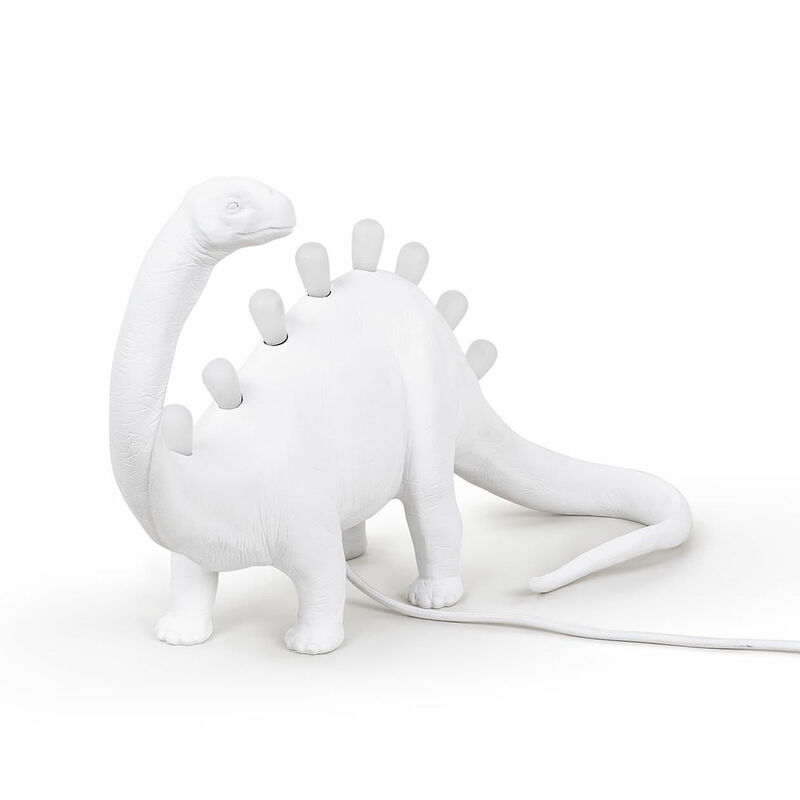 These sculptural objects, at the boundary between art and design, create a dreamlike, poetic and fantastical world. 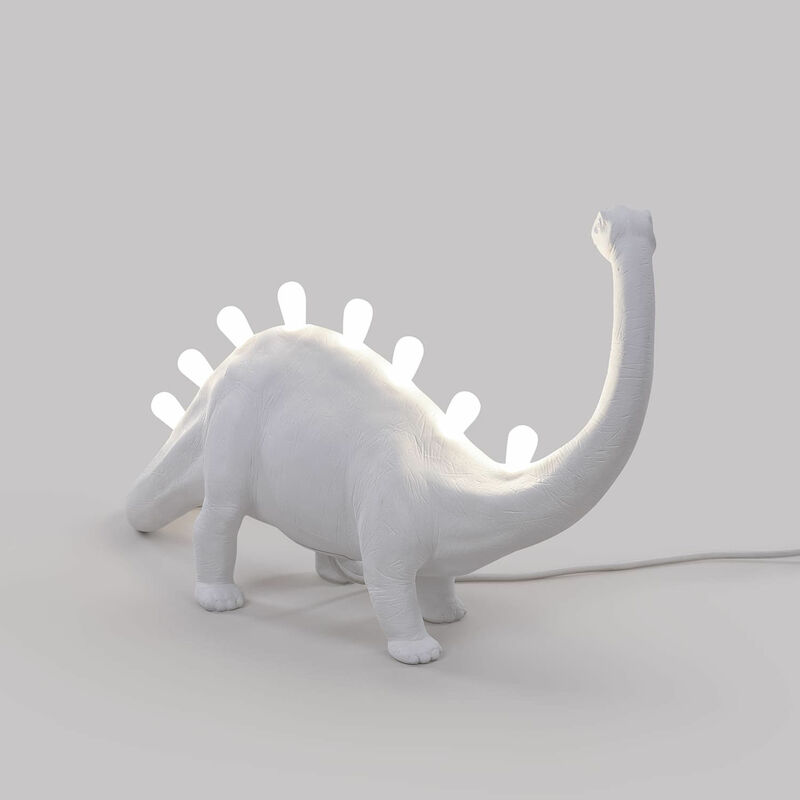 These little lamps will please both kids and grown-ups! 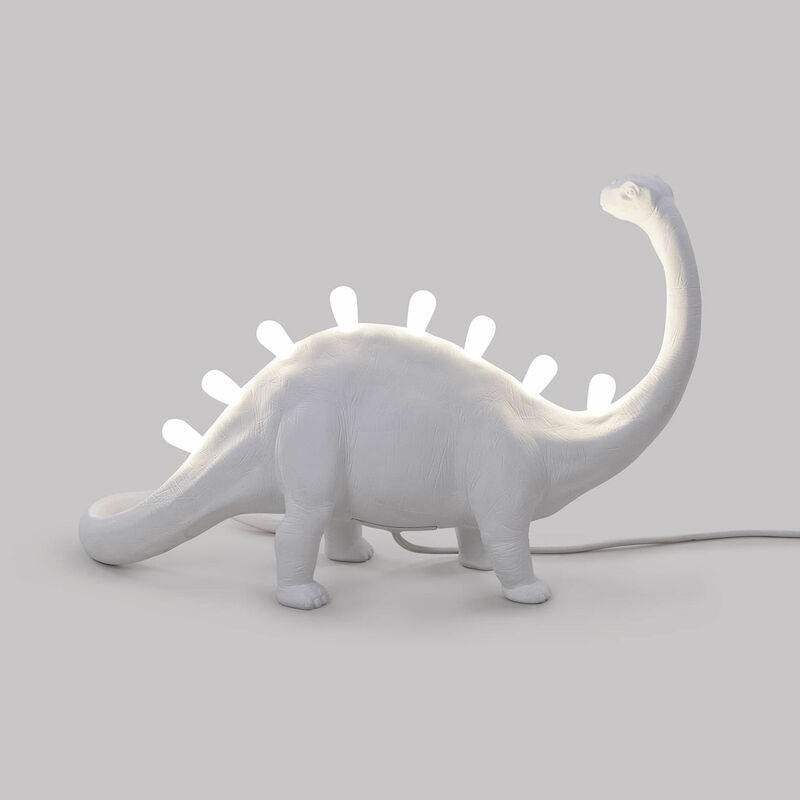 They give off a soft mood lighting.